One of the fastest production hatchbacks in the market, the brand new Golf ‘R’ has been an immensely popular choice for many. As it’s both practical and performance orientated giving you both of best worlds. It’s based on similar principles that made the Golf GTI great, but the ‘R’ offers even more power and really pushes the boundaries as to what a hot-hatch can really give you. 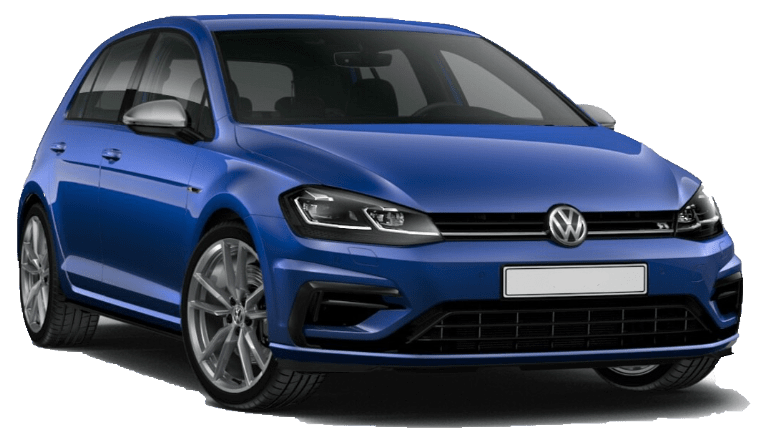 The facelift MK7.5, Golf ‘R’ features a revised 2.0-litre turbocharged petrol engine, producing 310 BHP and claims 62 MPH in just 4.6 seconds. Automatic models are equipped with a 7-speed ‘DSG’ gearbox which effortlessly changes through the gears. It does such a good job, that the automatic Golf R is fastest than its manual counterpart by half second to reach 62 MPH. Top speed is 155 MPH, although that’s electronically capped. To help manage all this power, as well as improving the drive the car offers, the Golf ‘R’ is equipped with Volkswagen’s ‘4MOTION’ drive. It’s an all-wheeled-drive system that distributes all of its 310 horses across all four wheels. Not only improving traction for a faster launch but helps with the stability through the corners, keeping the car planted firmly on the road. Aside from the performance features, the Golf can still lead a double life as the family runabout. Passenger space inside is plentiful and more than adequate for a standard family of four. At the back, the 380-litre boot is massive and useful for storing a couple of large suitcases or the weekly shop! ‘R’ styling pack – uniquely shaped front and rear bumpers, rear roof spoiler and side sills. Rear diffuser in ‘Black’ with twin oval chrome.